“Isla rode a brilliant race to finish inside the top ten for the second time this season, and with that she achieved qualification for the Commonwealth Games. She didn’t have a great start but the long opening climb allowed her to move up into sixth place in the early stages of the race. A few small mistakes on the extremely technical course cost Isla some time but her climbing legs clawed back the seconds and she was, on lap three, in the running for fifth. By the final lap Isla had dropped to seventh but this still gave her a U23 career-best result and a wonderfully big smile at the finish! 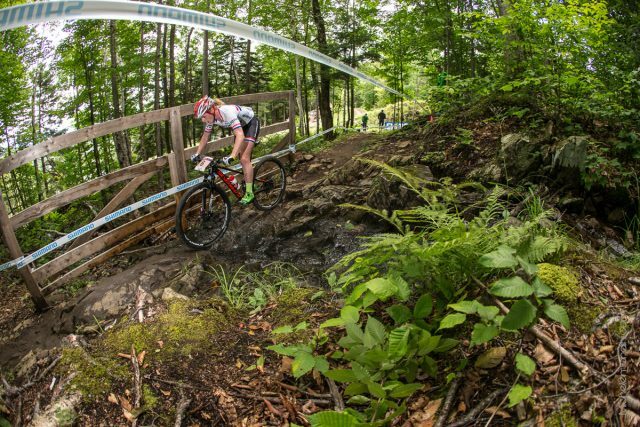 “Annie put in another impressive performance to finish eighth and bring herself within fifteen points of the World Cup overall third place. 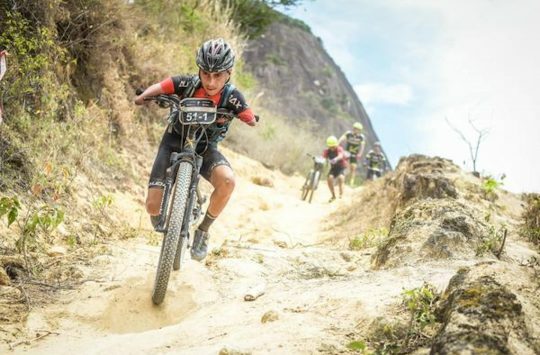 It was brilliant to see Annie on the front row of the World Cup start and she made the most of it by leading out the race and then attacking into the first technical climb to avoid any mishaps from other riders. 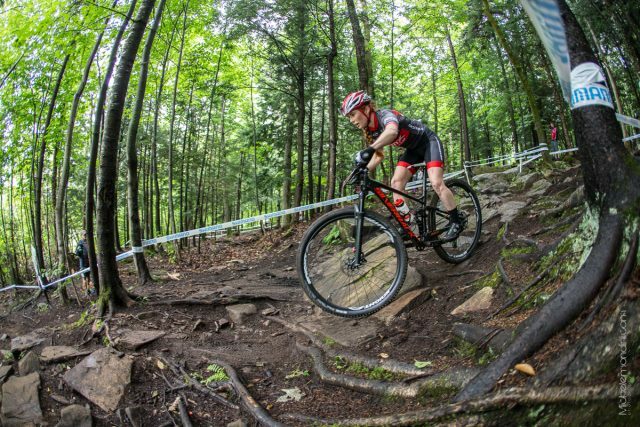 Annie’s technical prowess was clear to see on the legendary Mont Sainte Anne course and this gave her precious seconds throughout the race. Annie had settled into her own pace by the end of lap one and was sitting in sixth position. The final two laps were tough and Annie was just out-sprinted at the finish and finished in eighth. She was really satisfied with her performance and the way the race unfolded. There are so many talented women who can win a World Cup, so to be inside the top ten is an amazing achievement. 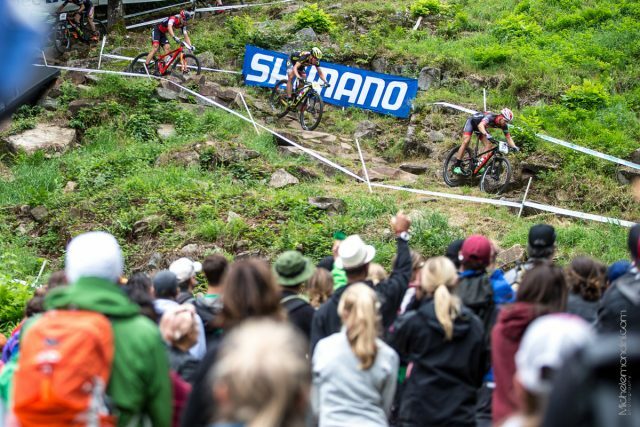 After a promising start, an unfortunate puncture cost Martin Gluth a lot of time, sending him back to a 52nd place finish (Photo: Michele Mondini). Big typo in headline lol. Of course. 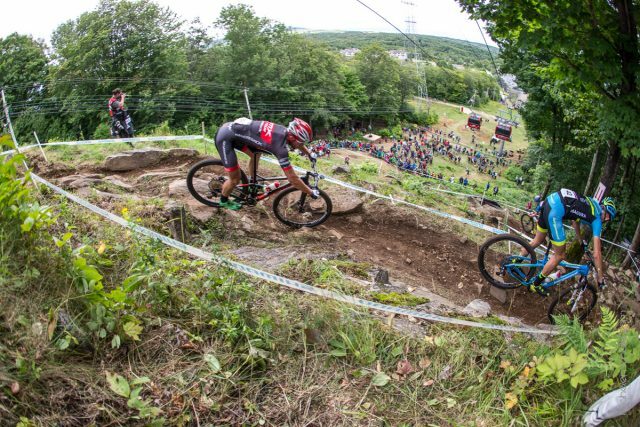 Official XBox Magazine don’t have any pro XC World Cup riders. 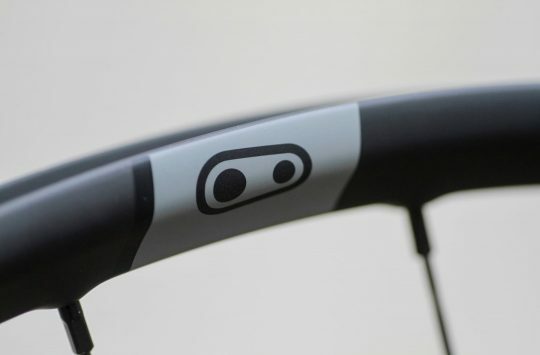 The B I G story here is the formation of the OMX team, pure grass roots, driven by a dream, a small town LBS rider with a vision…. 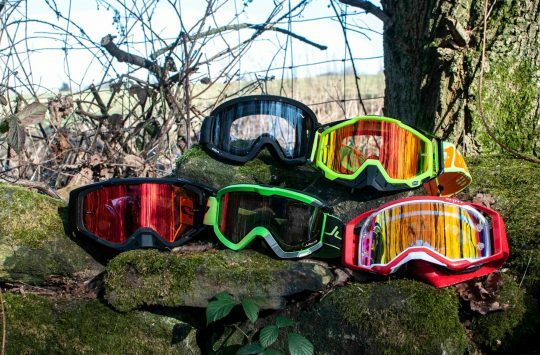 STW – i’ve nudged you before on this story, don’t sell out to enduro, XCO lives! Be nice to have some pictures of their bikes.